We don’t mess around when we get a clearance job. 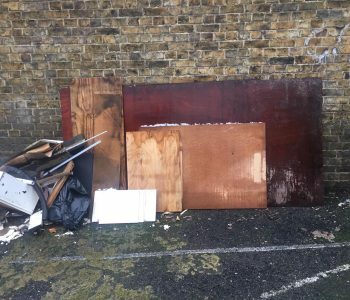 This customer in Mitcham was thrilled that we collected her rubbish just a couple of hours after her initial booking. 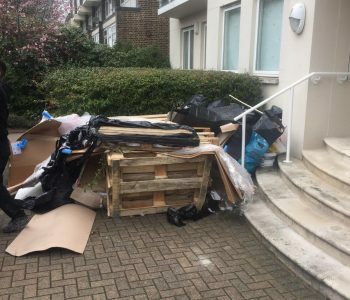 If you’re looking for a quick, reliable service at a great price then make sure you call us for a quote for all your rubbish clearance needs. We understand the value of your time, and that is why we do what we do promptly. 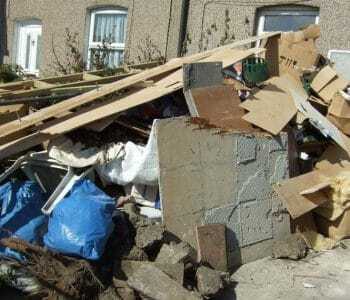 All waste is disposed of as per Environment Agency guidelines. Call today for a no fuss quote and collection. 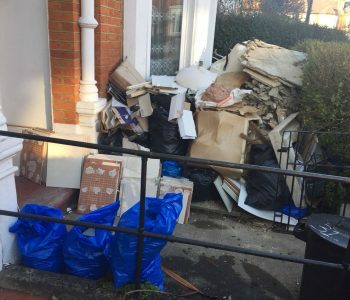 As we bang on about it all the time, you should know by now that we are the most reliable rubbish clearance company in South London. Come to think of it we’re underplaying ourselves. Maybe even the whole of London! Why? Because we are great at what we do. We dispose of waste legally, and in an environmentally friendly way. 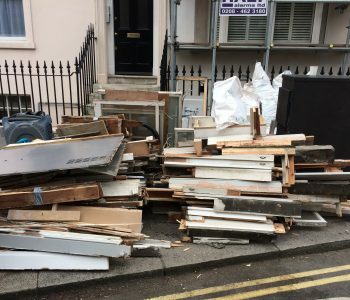 You won’t find a more punctual and value for money rubbish clearance company that’s for sure. 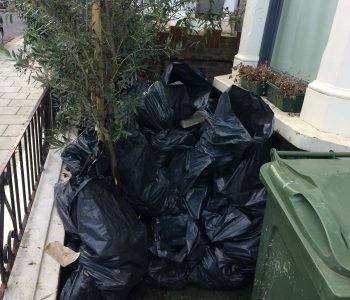 Here’s a clearance we did in Tooting yesterday. We received the call at 8.00am and we were clearing and loading by 9.30am. 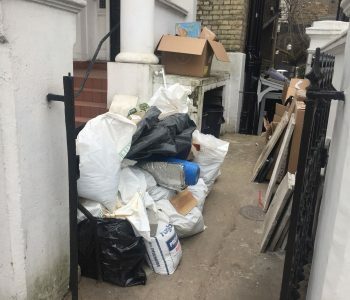 We have multiple vehicles and staff because we know you don’t want your rubbish hanging around any longer than it has to! Another day another load of rubbish disposed of in an environmentally friendly way. Here at Clear Space we do things right, and at a price that our loyal customers are very fond of. 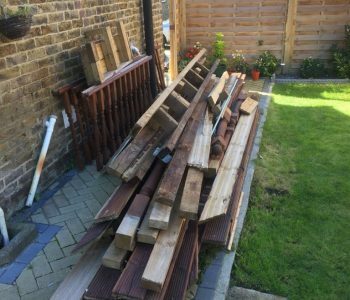 If you’ve got any kind of clearance requirements in and around the London area please do get in touch. Much of the time we can respond rapidly and get that rubbish out of your hair. All waste is disposed of legally according to the Environment Agency of which we are proud to be registered. Call us now on the number below or message us via the What’s App icon at the bottom right of the page. 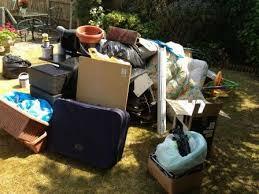 Looking to get your unwanted rubbish/items cleared in a hurry? Why not book our wait and load service. 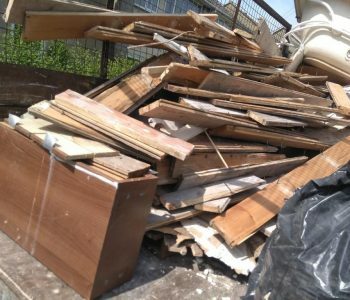 It saves cost on the price of a skip and with our helping hands we can clear your waste in no time whatsoever. The wait and load service works exceptionally well for the building industry. Refurbishment clearings, flytip clearances, clearing rubble as it’s being created. You name it we cover it. Here are some pictures of our latest efforts in and around London. Remember, we will not be beaten on price. Contact us now on the number below, or even direct message us via Whats App, you’ll see the icon in the bottom right of your screen! No time to hang about today as we had plenty on our plate. We picked this job up on the way to Camden via our WhatsApp booking service. This can be found in the bottom right corner of the website and is shown with a green icon. Just drop us a message of what you’ve got to clear and we’ll give you a quote and pick up time. We won’t be late! A quick in and out job today as a client got in touch via our Whats App messaging service (see the green icon at the bottom of your screen). We made a quick detour and cleared their rubbish in no time at all. In fact we arrived no more than an hour after initial contact. We actually got complimented on our speed and price which is always nice! A fairly large collection here just around the corner from Victoria in London SW1. Our aim is to get in and out causing minimum fuss. Our team had this collection sorted, loaded and on the move within 15 minutes!